I have been listening to the Village People’s discography recently. Village People albums may not have seemed especially good value for money, because they are all very short. But! 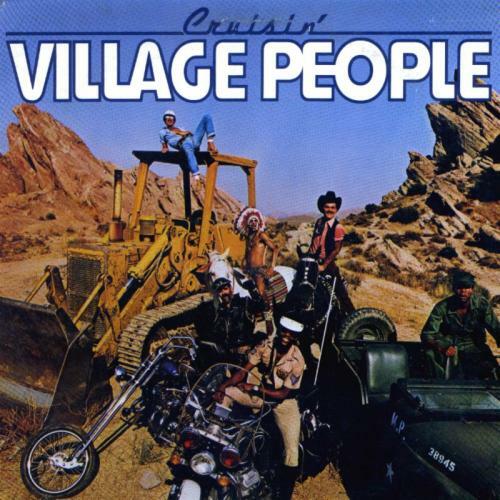 While lesser bands might have wasted their time and yours on things like “experimentation” or “developing their sound”, every single track on the first few Village People albums sounds EXACTLY like the Village People. Where Q is the quality score and Y is the extent to which the song sounds like “YMCA”. So by critical science we deduce that “YMCA” itself must be of the highest possible quality, and so it is. After “YMCA” you get “The Women”! “I LOVE THE WOMEN” sings Mr Village People. Sometimes you get the feeling the Village People are kind of male-centric so it’s good that there’s a shout-out for all the ladies on the disco scene, right? It sounds about 70% like YMCA, too. As a Village People fan you might have wondered what the Village People like to do of an evening and on the rest of the record you get your answer. At first “I’m A Cruiser” diverts worryingly from the YMCA template but by the time the chorus (“I’m a cruiser / Cruisin everything I see”) comes round, they’ve corrected themselves. Following that is “Hot Cop”. The All Music Guide – which gives Cruisin’ a disgracefully low mark – is scathing about this song in particular, quite wrongly in my opinion. Six minutes may be pushing it but if you were the hottest cop on the disco scene wouldn’t you need to stretch your legs a bit? Strong residual elements of sounding like YMCA keep the interest alive. All dancing and no rest would make Jacques a dull boy, so on the fifth track the Village People retreat to the relaxing surrounds of their ‘apartment’. But alas! On “My Roomate” we learn that their room-mate keeps them up all night. Because he never stops dancing! What’s a boy to do? The Village People try to thwart him with a song that sounds less like YMCA than anything else on the record, but it’s no help. You might be getting the impression by now that the Village People live an exhausting life and you’d be right! But there is a price to pay – on “Ups And Downs” they lay bare the truth: their lifestyle is drug-fuelled. “I wish I could find my way back to the ground / It’s not around / It can’t be found”, they sing, capturing the terror and insanity of a “pill trip”. This is also as close as you can get to YMCA without actually being YMCA, AND it has additional laser noises for the “ups” and a farty bass thing for the “downs”, so on the whole it’s a triumphant ending. With a message too! Kewl you should come up with that. Exlnelect!